Ubisoft says Tom Clancy's Ghost Recon Wildlands is their largest open-world action adventure game to date. Welcome to a miniature Bolivia. Keep your head down. Ubisoft says Tom Clancy's Ghost Recon Wildlands is their largest open-world action adventure game to date. But even after doing a deep dive on how the art team created an entire South American country in miniature, we’re still not sure how big the map actually is. At least now we know what it looks like. 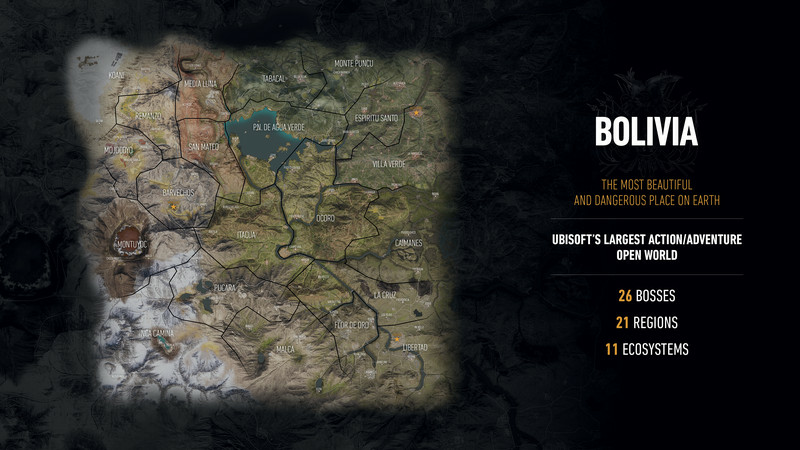 Wildlands will be divided into 21 regions, each with its own civilian population. Each region has its major towns and hamlets, arterial roads and waterways. But the game’s developers tell us that they will also have their own industry and way of life as well. 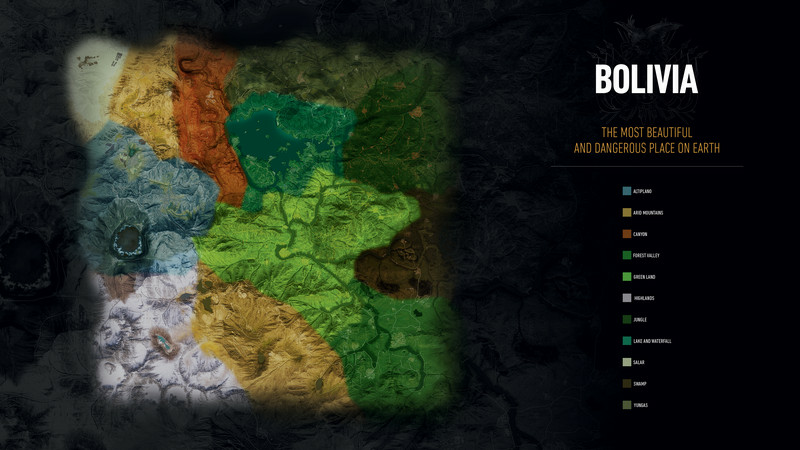 The game will also feature 11 different biomes, completely unique ecological areas with their own climate, topography, plants and animals. 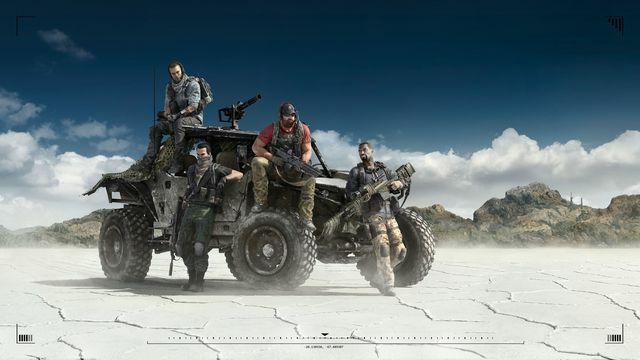 You can read more about the hands-off Wildlands presentation Ubisoft shared with us at its Paris headquarters last month in the first in our series of feature stories right here. Ghost Recon Wildlands is due out on PlayStation 4, Xbox One and Windows PC March 7, 2017.